The B-model EV-2 was optimized for missions in low Kerbin orbit (LKO), such as crew transfers to and from space stations and interplanetary expeditions. As such, it lacks a robust power generation capability and communications equipment. 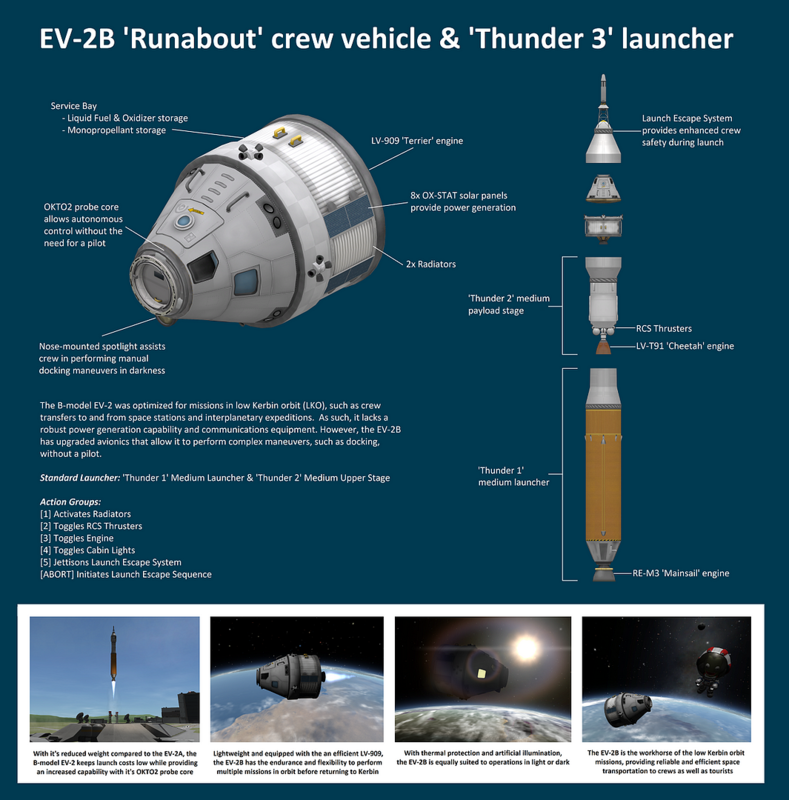 However, the EV-2B has upgraded avionics that allow it to perform complex maneuvers, such as docking, without a pilot.